1.Clean face with cotton dipped in a rose water twice or thrice a day to avoid pimples. 2.Grind orange peel with some water ,make a paste and apply on affected parts. 3.Apply fresh mint juice over night for the face daily to avoid acne,pimples,insect bites and other skin infections. 4.Apply juice of one lemon and equal amount of rose water for face and leave it for half an our.Repeat this for the 15 days,this helps to cure pimples,acne,scars. 5.Paste of fenugreek seeds(methi) or fenugreek leaves applying 10-15 minutes every night and cleaning it with warm water reduces the black heads,pimples,acne. 6.Use cucumberor other fruit and vegetable packs to cure pimple scars. 7.Mix 1 tsp lime juice with 1 tsp groundnut oil to prevent black heads and pimples. 8.Honey kills bacteria and keeps skin free from pimples. 9.Raw papaya juice is a nice treatment for pimples.Papaya juice is also used for gaining the fair skin. 10.Another common home made remedy is tooth paste.Apply tooth paste i.e it should be paste like material,it should not be like a gel.Apply this paste on the pimple ,this will draw out the pimple .If it is applied for long time,it may affect the skin and gives irritation.So apply it for a limited time. July 19, 2014 at 2:36 PM delete This comment has been removed by the author. February 7, 2017 at 9:45 PM delete This comment has been removed by the author. February 10, 2017 at 12:12 AM delete This comment has been removed by the author. Great tips for pimple treatment. Easy and useful pimple remedies. 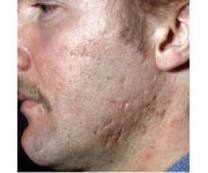 A skin tag remover kit is very effective method to remove skin tags.